Moving household goods overseas from Boston? 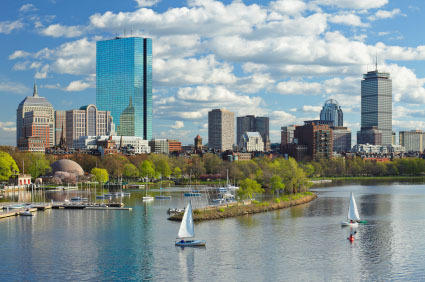 Are you planning to move from Boston, Massachusetts to a foreign country and take all your belongings from home with you? Maybe you are finishing up work overseas and need to ship your effects back to Boston. Whatever your reason, the international moving services from Schumacher Cargo have everything you need to ensure a simple and straightforward experience. Where are you moving to/from? Our company can help you relocate to more than 50 global destinations including Europe, Australia, New Zealand and many more. From Boston, you can take advantage of our door to door or door to port options. You’ll have the option to pack your own belongings, or we can have our team pack and wrap your effects at your residence! Finding a trustworthy and reliable international moving company is the most important step, whether you’re relocating for business or family reasons. Depending on where you are moving to, it may be the case your goods will be transported to one of our other warehouse locations. If this is the case, we have our own pickup team. They’ll be able to take your household goods from anywhere in the Boston area to where they need to go. Our international movers work fast and efficiently, always taking extra care. Once we have your shipment at the departure port, we’ll prepare all the necessary paperwork to clear U.S customs. Agents overseas will also assist after your cargo has arrived. If you have any specific questions regarding rules or particular items, please call us at 1 800 599 0190 to speak with one of our moving experts. How Long Does it Take to Move Household Goods? When moving household goods from Boston, timeframes can vary depending on the method used and size of the shipment. If you are shipping your personal effects as a full container load, you’ll be able to move from the closest port. In the more common instance that you use our household goods consolidation service, we will move your effects from Boston to our warehouse in New York where it will sail from there. Although ocean time can change due to uncontrollable factors, Schumacher has a great track record when it comes to meeting our quotes. For those moving household goods from Boston to most European destinations, you can expect your shipment to be on the water for roughly two weeks. Please contact one of our moving specialists for any further questions you may have regarding our overseas moving services for Boston or get a moving quote and find out how we can get you a competitive rate and make your move a great experience. Get your FREE shipping quote today.